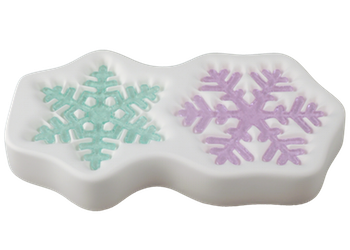 Snowflakes ’15 is our newest snowflake design. At 3.75 inches (9.5 cm) across, they are large and intricate. 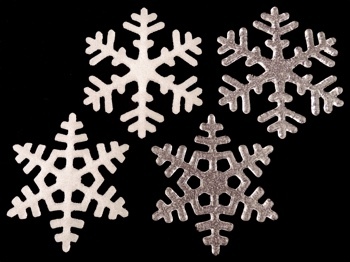 All our snowflake designs are wonderful decorations for Christmas trees and holiday windows and couldn’t be easier to make. 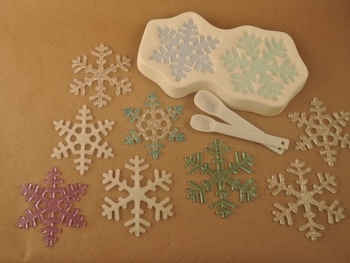 They also can be used to embellish holiday platters, candle holders, and votives. 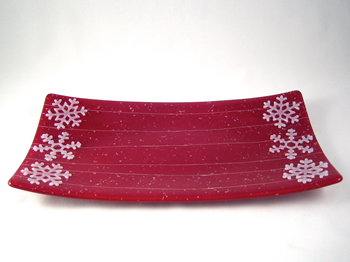 Exceptional snowflakes can be created by adding dichroic flakes or frit to the castings. The Snowflakes ’15 mold is about 9 by 5 inches (23 by 13 cm). Each cavity holds 20 grams of frit. Find project sheets and videos related to this design by clicking on the green LEARN tab above. Make sure to follow the low temperature firing schedule included in the project sheet.